Today’s guest blog is by Ursula Archer. Ursula P. Archer was born in Vienna in 1968, and worked as an editor at a publishing house. 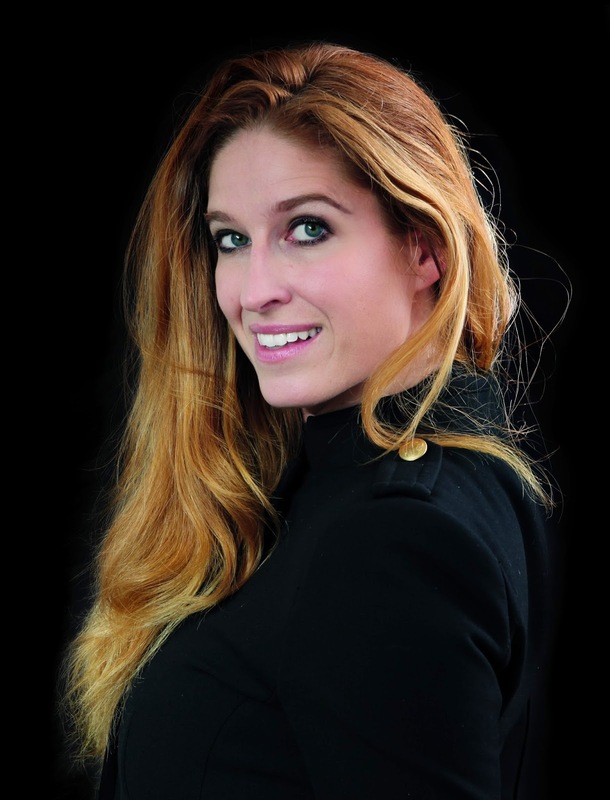 After the success of her first young adult novel, she now dedicates much of her time to writing fiction. She lives with her family in Vienna. Five is her first thriller for adults. As English people, we Austrians and especially Viennese like me have the reputation of being polite (true, if you consider only the surface), therefore it's not really easy for me to sit down and write flattering stuff about my own book, “Like it's brilliant, go and read it”. Things like that are much easier if you get asked directly in an interview, for example. But hey, you know what? I've been a journalist for more than a decade, so interviewing myself should be a piece of cake. And I like cake. So, Ursula. 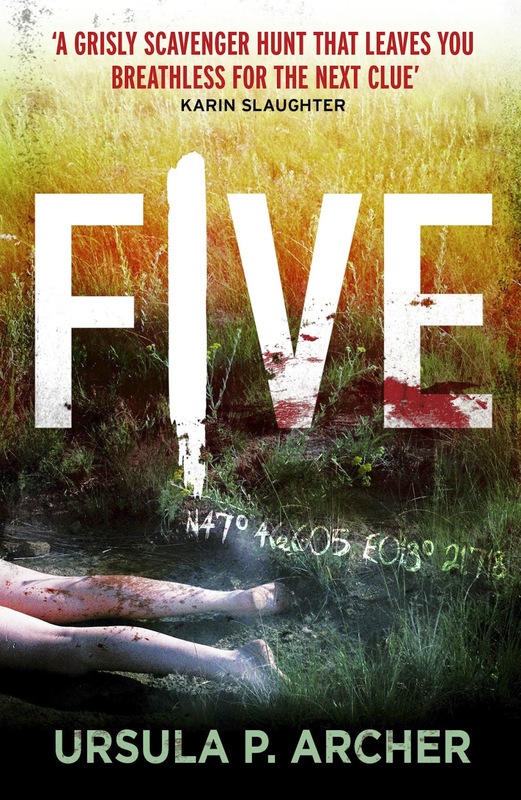 Your novel “Five” is soon going to be out in the UK – how do you feel about that? Totally over the moon. It's like hitting the jackpot. As far as I know only 2% of the books on the English market are translations. Being part of that small group is fantastic. Could you give us a short synopsis of what the story is about? Sure. A murdered woman is found on a meadow near Salzburg. On her soles there are tattooed coordinates that mark the location of a hideout where a horrible surprise is waiting: a hand, shrink-wrapped in plastic foil, and a riddle. Beatrice Kaspary and Florin Wenninger, agents at Salzburg's criminal investigation department, have to engage in a gruesome type of geocaching, the modern kind of scavenger hunt with GPS. Every solved puzzle leads to another cut off body part. Have you tried geocaching yourself? Absolutely. It's great fun and I definitely recommend it. By the way, I check all the coordinates that you find in the books personally. I have been there, with my then eleven years old son who loved looking for places that qualified for hiding dead people's remains. Your main character, Beatrice, seems to be quite a troubled person. She is a single mum, her boss hates her, and her ex terrorises her with late night calls. Why did you make life so difficult for her? Don't forget that she also has a traumatising experience in her past. Well, when Beatrice and I first met (in my imagination) she was in a terrible hurry. She was nervous, busy, and a little harsh to me, because I added another task to her life. So I tried to figure out why she acted like she did. Sometimes when I develop my characters it works like this. I catch a glimpse, I get a first impression, and then I work my way up from there. I think Beatrice is in a place that a lot of women know very well. She struggles to meet all the expectations, to fulfil her obligations but she never feels like she succeeds in it. Bad conscience is her permanent companion. Crime novels are booming. In your opinion, what distinguishes a good book of this genre from a mediocre one? thrillers that invite me to make my own guesses and give me a tiny chance to be right – but only if I really, really pay attention. I love mysteries that challenge me. If, in addition to that, the characters of the novel feel true-to-life and relatable, I'm happy. And you think that “Five” provides all that? I hope so. To be absolutely honest, I think so. It's brilliant, go, and read it. Every corpse is a clue. A woman is found murdered in a field. Tattooed on her feet is a strange combination of numbers and letters. Detective Beatrice Kaspary quickly identifies these as map co-ordinates, which lead the police to a ‘treasure box’ containing several severed body parts – and a note from the killer with a series of cryptic clues to the identity of the next victim. So begins a desperate scavenger hunt in which Beatrice herself becomes a pawn in the killer’s game of cat and mouse, as she risks all to uncover the murderer. A superb read . I can not wait for your next. A book to be recommended.